Are you looking for a commercial locksmith in Lawrenceville, GA? Don’t delay on your business locksmith upgrade, contact GreenPro Locksmith today for any type of commercial locksmith services in Lawrenceville, GA.
Do you frequently record theft of important files and items at your commercial premise? Do you notice to break-in attempts at the entrance of your commercial premise? If your answer is yes, to any of these questions, then it is time to look out for, business Locksmith Lawrenceville. Statistics have shown that most thefts in commercial properties are conducted right there during working hours, contrary to the belief that such thefts in the late of the night. As a matter of fact, some of the staffs on the commercial premise may be responsible for the break-ins and attempted break-ins on the premise. You don’t want to leave anything to chance to intruders, hence you need a business locksmith Lawrenceville expert to evaluate your commercial locksmith needs and recommend the most efficient upgrade that will make your commercial premise much more secure than before. As one of the top most trusted commercial locksmith Lawrenceville service providers, GreenPro Locksmith has remained at the forefront of providing 100% reliable and efficient business locksmith Lawrenceville services to business owners in and around the city. GreenPro Locksmith has clients in virtually all sectors of the economy, these include; manufacturing, retail stores, warehouses, educational institutions, corporate organizations, government establishments, and sports arena. GreenPro Locksmith follows due processes when it comes to evaluating the security needs of commercial premises and the solutions provided are based on the findings from inspections conducted on such business premises. A commercial locksmith must provide diverse ranges of solutions to commercial lockout situations. An ideal business locksmith Lawrenceville service provider is capable of providing rekeying services, as well as key replacement services. In most cases, an upgrade can be conducted on existing traditional locks to ensure that they meet up with the current security realities. Though there are some traditional locks and keys that are no longer viable, GreenPro Locksmith will advise you on the most suitable replacement options for your lock services- this will eventually bring peace of mind to business owners. Don’t delay on your business locksmith upgrade, contact GreenPro Locksmith today! GreenPro Locksmith is accessible all-around Lawrenceville and environs, and that is why most commercial entities have come to rely on its expertise for long-lasting locksmith solutions to all lockout situations. You don’t have to witness a theft or attempted break-in at your commercial premise before you request the services of a business locksmith in Lawrenceville. If you have changed address recently, the keys to your new business premise may still remain in the hands of former occupants, and that could expose your business to serious danger. You can rely on GreenPro Locksmith for the change of locks and keys to a new business premise. In addition to the regular day to night commercial locksmith services, GreenPro Locksmith also provides emergency commercial locksmith, considering the fact that commercial lockouts can occur at any time and such nasty situations can cause a significant drop to revenue within that period of time. You can rely on Green Pro Locksmith for an effective commercial premise lockout situation. 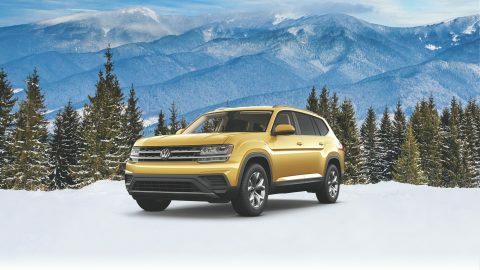 Volkswagen models can be plagued with several lock issues such as Lock control module malfunctions, lock keeps locking itself, and doors wouldn’t lock with the clicker. GreenPro Locksmith offers a prolific and widely experienced Volkswagen locksmith in Atlanta who can handle all Volkswagen locksmith problems efficiently. Losing keys have always been a problem for everyone and when you lose your keys of your car or house, you end yourself in a difficult position. At times, you stay in the locked out situation for hours and days even. And, if you are unfortunate enough to lose your keys during the summer, the brutal and dreadful heat in waiting to embrace you into it. Jammed door latches can prevent the privacy that usable locks do offer people within residential and commercial areas, it also interferes on the security of the properties. It is important to understand the different causes of jammed door latches, for the purposes of preventing them. If you constantly have jammed door latches problems, contact GreenPro Locksmith, for a lasting solution.